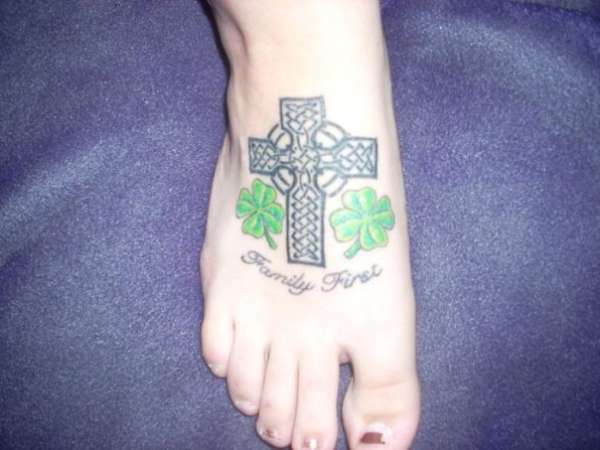 Dedicated to my family, shamrocks w/ Celtic cross. Done by Jeff @ Mean Street in PA. It was my first tattoo on my 18th birthday.